Anchors Win Two in a Row! The South Shore Anchors(2-3) won two games in a row against Old Gold and Burlington after starting out the season with 3 tough losses. The team re-focused on defense and tackling in their weekly training sessions with the help of new head coach, Rory Barrett. The focus showed late in the match against Old Gold Rugby Club on 9/27. They played from behind most of the match thanks to the accurate penalty kicking of Old Gold’s #12. Some great kicking by the Anchors’- Ben Palmer and Rob O’ Leary put continued pressure on Old Gold resulting in numerous tries in the second half for South Shore. In the end South Shore was able to rally late with some dominating forwards work and tries by wing- Colin Dowd and flanker- Jamal Fuller. Final score: South Shore 45 Old Gold 36. 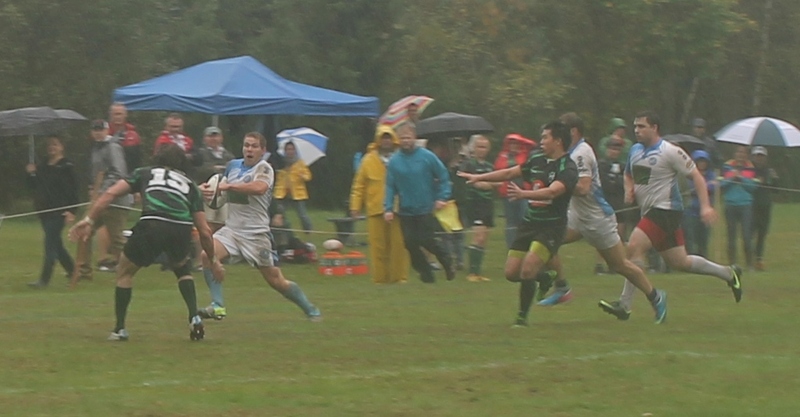 South Shore’s momentum carried over this past weekend when they played against Burlington Rugby Club. Although it looked like weather might play a factor, the nicely kept fields at Burlington mitigated the effects of the off-and-on rain. South Shore came out hard and fast with a strong gameplan. They made it clear that they wanted to play in Burlington’s half of the field, kicking early and often. The game was full of some heavy collisions between the big forward packs of both teams. Eventually, Burlington wilted and South Shore scored 10 minutes into the match. The flood gates opened after that with South Shore racking up 12 tries to Burlington’s 1. Final score: 70-5 in favor of South Shore. The man of the match was awarded to Captain Ben Palmer for his 3 tries and numerous conversion kicks. The Anchors look to continue their momentum as they play the Saratoga Stampede at home on October 18th at Ralph Talbot Field in Weymouth.